Let yourself be inspired of history, architecture and art, while visiting the numerous churches and chapels, such as the parish church Pietro and Paolo, which was built in the year 1824 out of ruins of the 13th century. Very impressive are the detailed altarpieces, paintings and frescos, as well as the worthwhile seeing death-dance engraving at the entrance of the cemetery, created by Rudolf Stolz. The church of San Giuseppe a Moso of 1679; the chapel di Roggen di Fuori of 1849, which was ordained to S. Maria Goretti – martyr of innocence; the forest chaple; the chapel of peace; the chapel of S. Valentino in Bad Moos, which was ordered to build for the bathing guests in 1925 from Valentin Wasserman; the three pinnacle chapel and the chapel of San Michele on the Passo Monte Croce. In Sesto you find the museum Rudolf-Stolz, where one can admire the works of the famous painter (1874-1940) and in the Hotel Mondschein / Luna you enjoy a beautiful crib collection. Since 1765 the bathing tradition was famous in Bad Moos. The water of the sulphur spring of Bad Moos is classified as very rich in minerals, fluoride, sulphur, calcium and magnesium, which nowadays plays an important role in the SPA sector. Welcome to the apartment house Residence Floralp. The house is located off the main road in a very quiet and sunny location in Sesto - St. Veit and offers a magnificent view of the Sesto Sundial. The shopping center and the cable car to Mount Helm are only 10 minutes from here. 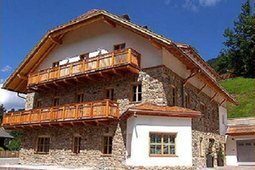 The farm Innerrauthof is located in a quiet and sunny location at 1500 meters above sea level, above the village of Sesto! From this farm you can make wonderful excursions such as Alpe Klammbach, mountain lodge Larice, Monte Elmo and mountain lodge Gallo Cedrone. 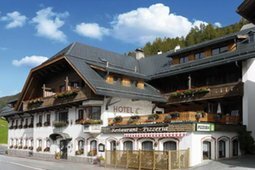 he Hotel Mondschein in Sesto/Sexten has been managed by the Stabinger family since the 17th century and up to now has represented a place of hospitality in the heart of Sexten/Sesto. Enjoy South Tyrolean traditions in a wonderful place, surrounded by a great panorama. 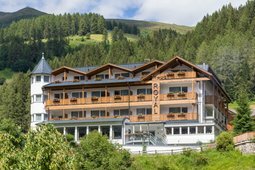 Welcome to the Hotel Royal in Moso! 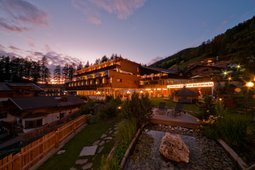 Let your mind, body and spirit relax in the quiet and relaxing atmosphere of this family run hotel in Sesto, savouring also the numerous culinary specialities proposed by the cuisine, then return home full of energy. 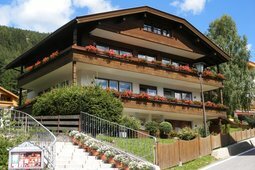 Welcome to Haus Hubertus, a family-run business, located in an excellent position for your summer and winter activities. 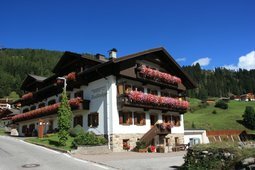 Haus Hubertus is located near the Fiscalina valley, which is an ideal starting point for hikes in the Sesto mountains. 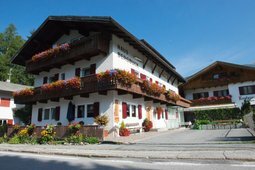 The Hotel Waldheim is located in Sexten, at the entrance to the Fischlein Valley, and is the ideal place to spend your holiday in the Upper Puster Valley. The cable car to the Helm mountain and the Waldheim ski lift are next to the hotel and so is the cross-country ski track. 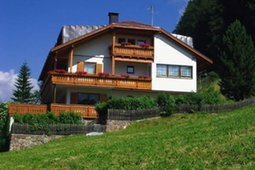 The house is situated in Sesto-Moso, at the beginning of the Fiscalina Valley, and provides all the right conditions for a relaxing holiday. Enjoy a light-hearted break in a friendly, family atmosphere and simply feel great! These holiday apartments will make you feel at home. 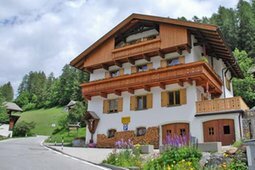 The Rudlerhof & Chalet Rudana lies far away from the main road in a quiet area. The house is embedded in the most beautiful landscape that you can imagine, surrounded by green meadows and breathtaking mountains. 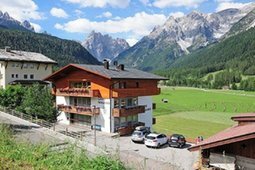 The Apartments Heidi are located in the idyllic mountain village of Sesto/Sexten, at an altitude of 1,310 metres above the sea level in the eastern part of South Tyrol, basically in the shadow, so to speak, of the celebrated Tre Cime di Lavaredo massif. Whatever the season, the fascinating Dolomites of Sesto offer wonderful delights to all holiday makers! At an altitude of 1,360 meters, Sesto lies in a wide valley and is surrounded by a breathtaking landscape and majestic mountains. Casa Annabel is located only 20 meters from the Hotel Royal in Sesto-Moso. Here you can enjoy an independent stay in two cosily and finely furnished apartments, without having to miss out on the convenience of the ¾ luxury board. The house is located 200m from the center of Sesto in a quiet area, offering you a great starting point for your trips and excursions. Right from your apartment you have a beautiful view of the great peaks of the famous Dolomites of Sesto. 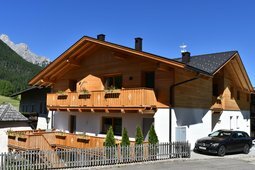 Welcome to the Apartments Rauter: two beautiful apartements in the heart of the Dolomites of Sesto! 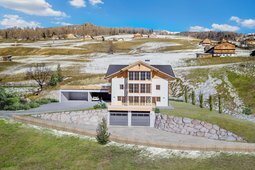 From the house you can reach in a few minutes on foot the ski lifts of the mountain Helm, the cross country ski trail and the bus stop. A little welcome gift awaits you. The house benefits from a sunny, peaceful and slightly elevated position with an open view on the Meridiana di Sesto, Gsell and Monte Baranci. In only 5 minutes on foot you can reach the village centre, where you will find shops, banks, the post office, bus and skibus stops. Welcome to Haus Oberpauler! It is situated in Sesto, in the area of St. Veit. Sexten in Hochpustertal is a small holiday paradise in the midst of the Dolomites, the Unesco World Natural Heritage. The philosophy of the hotel St. Veit in Sesto is based on holidays in harmony with nature, which means well-being and health, following the Vitalpina® concept. This concept includes being active in the Alpine landscape, hiking, skiing and experiencing nature. Right in the heart of the Sexten Dolomites. Amid nature. Amid the happiness on vacation. Unique sceneries. Vastness. The immense peaks. Your holiday at Reidenhof in Sexten. You can dream and daydream in this five holiday apartments in Sexten especially from the panoramic windows. The house of the Summerer family offers a beautiful and spacious apartment with three bedrooms especially suitable for families. The main characteristic of the accommodation is a lovely balcony accessible from all rooms, which provides children with a lot of space to play. Special prices for March/April 2019! Located 1520 m. above the sea level and at the foot of the Dolomites of Sesto and the Tre Cime di Lavaredo, the Caravan Park Sexten is ideal for those looking for relax, emotion and contact with nature during their holiday in the open air. 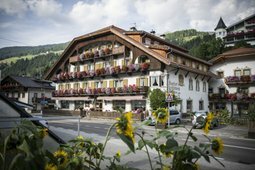 Welcome to the traditional hotel Edelweiß with long tradition and very rich cuisine in Sexten. 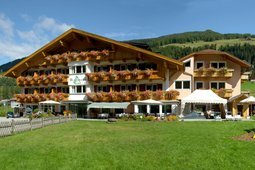 The hotel is situated at the entrance of the the valley “Fischleintal” sourrounded by the majestic Dolomites – also well known as “Sextner Sonnenuhr”. 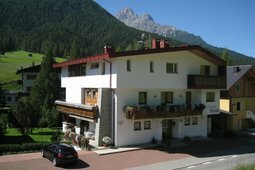 The Residence Handra offers apartments in Sesto in the Pusteria valley. The house is situated within ten minutes walk of the village center of Sexten. 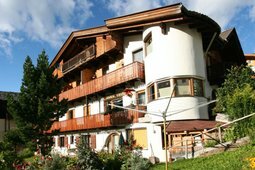 It is in a quiet position with beautiful view on the Dolomites of Sexten. The Residence Oberhanser, situated in the National Park of Sesto, is the ideal place for your holidays in the Dolomites. Here you can restore yourself from the daily routine, living in the shade of the famous Sundial of Sesto, in a house where tradition meets modern architecture. The Haus Bergblick in Sesto/Moso is located amidst a unique setting. Whether in summer or winter, the House is the ideal starting point for hiking or winter adventures! Located directly at the entrance to the Val Fiscalina, you have a wide range of activities to choose from. 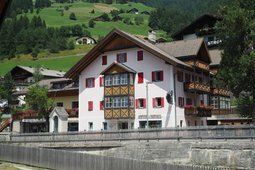 As a treasure chest, the small Hotel Holzer is located in the heart of the Dolomites of Sexten/Sesto. During the summer, the hotel is the ideal starting point for lots of hikes, wonderful trips and climbing excursions that will leave you breathless. 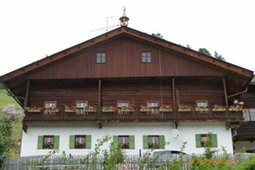 The Weberhof is a farmhouse offering rooms and apartments for your holidays in South Tyrol. 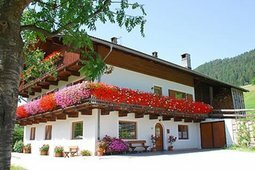 The house is located in walking distance from the centre of the village of Sesto, in the Alta Pusteria valley. The position is tranquil and yet very convenient for active tourists. A neat vacation home with four apartments, designed with a discerning eye for details, is waiting for you! The vacation home is situated in a quiet, sunny hillside location that offers fabulous views over the Dolomites of Sesto. 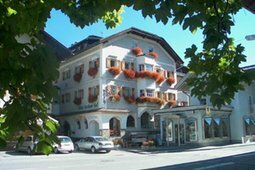 The Sextner Hof is one of the best Hotels situated in the beautiful historical centre of Sesto, Pusteria, in the Dolomites. From here everything is within reach: you will find a traditional, relaxing and welcoming atmosphere, in summer as well as in winter.